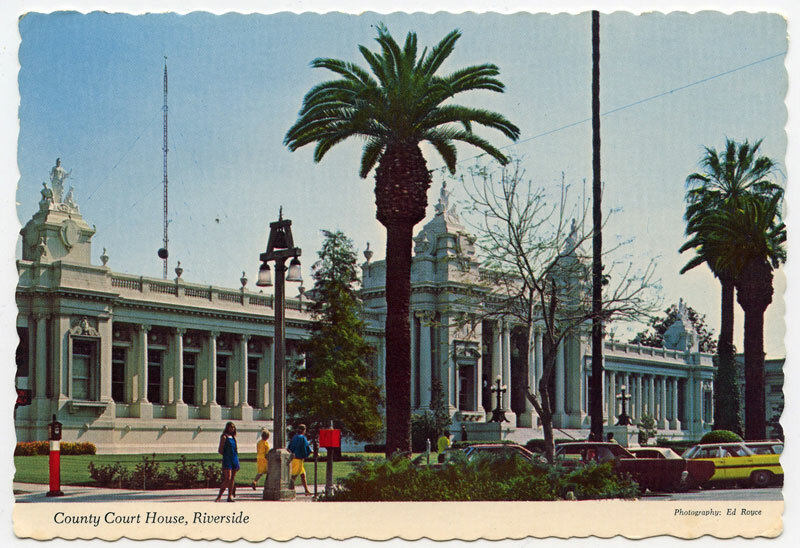 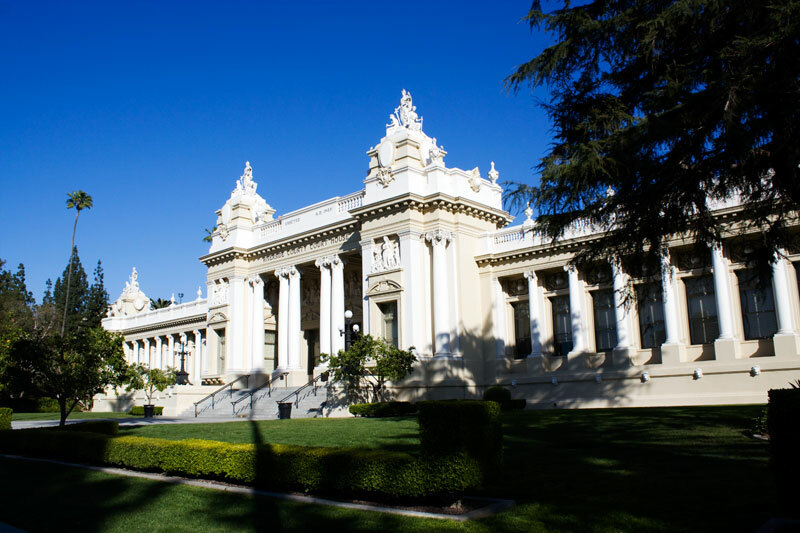 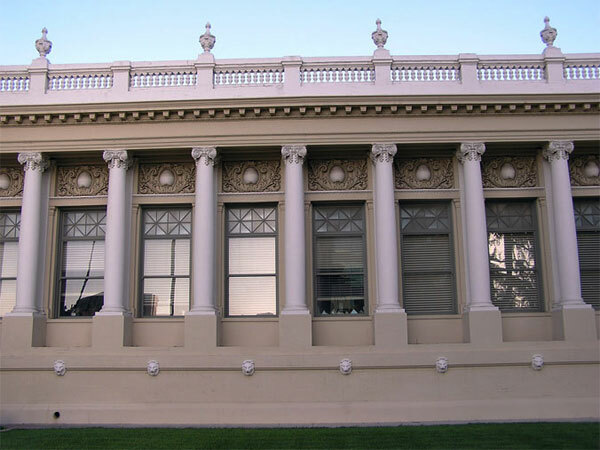 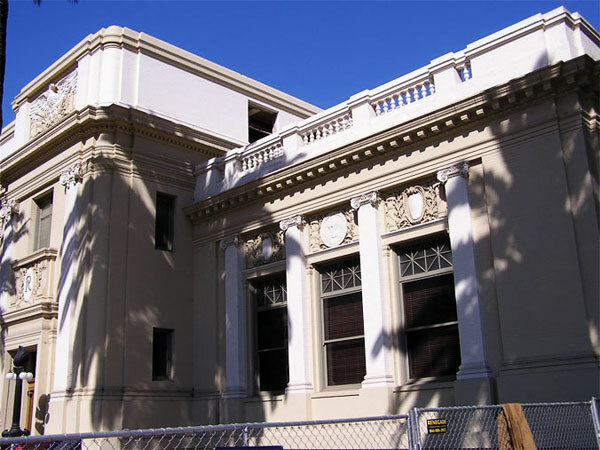 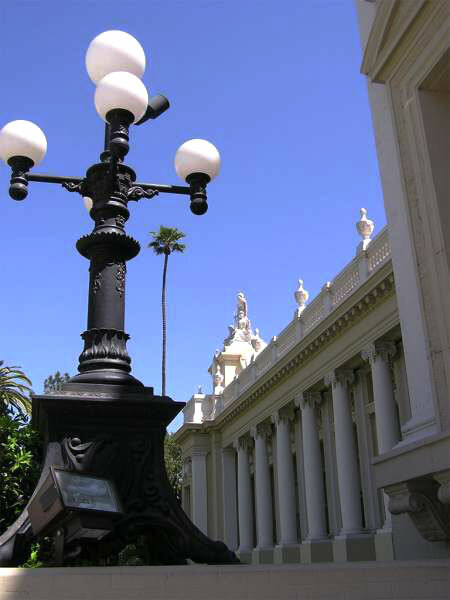 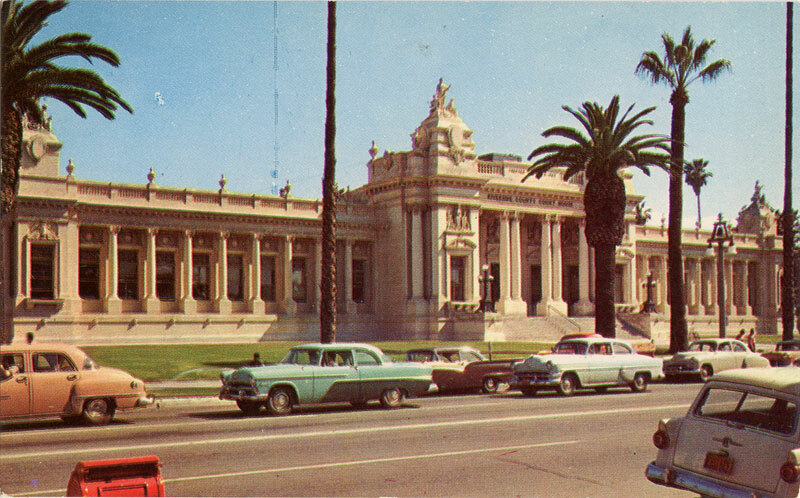 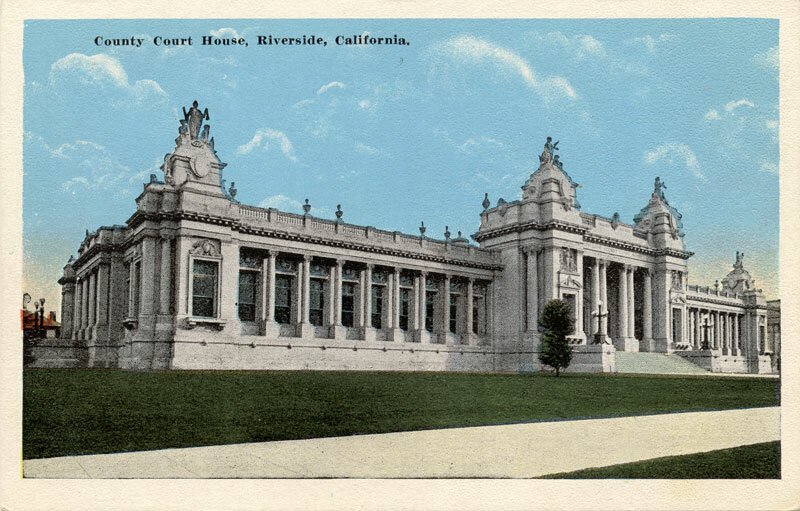 Designed by Franklin P. Burnham of the Los Angeles architectural firm of Burnham and Bliesner, the cost of constructing the Beaux Arts styled courthouse was $160,000. 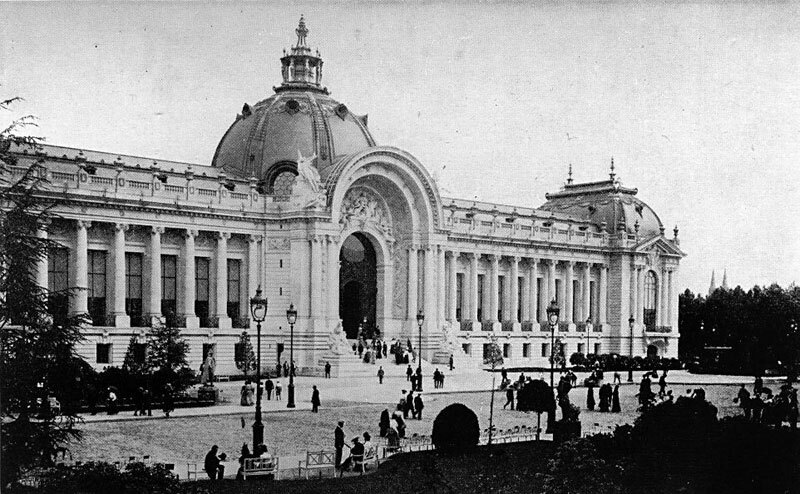 Construction began on May 7, 1903 and was completed June 23, 1904. 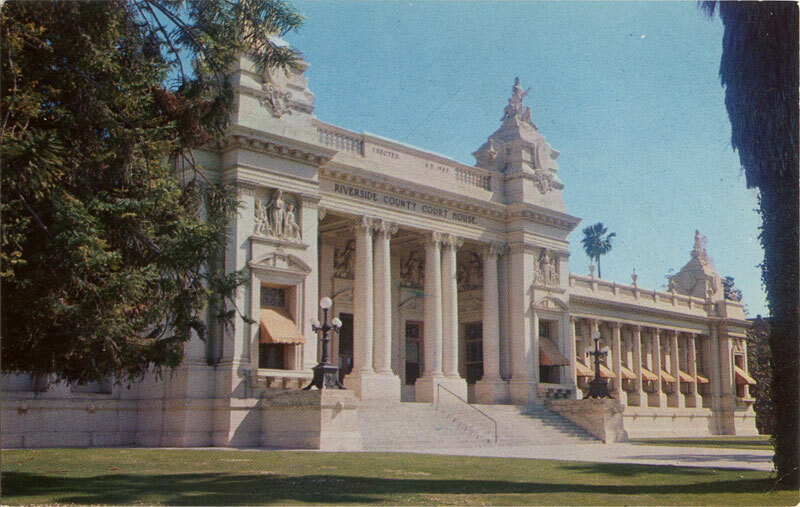 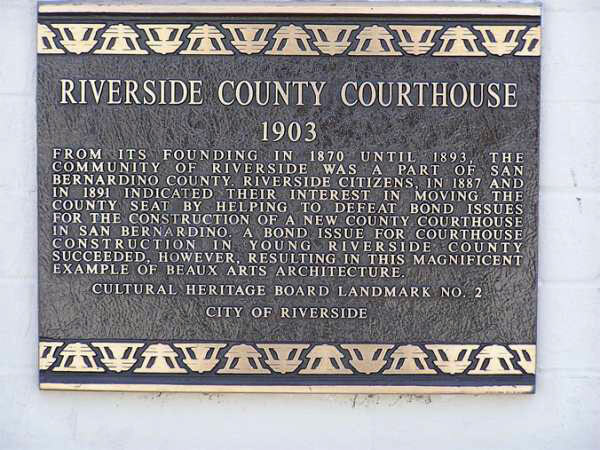 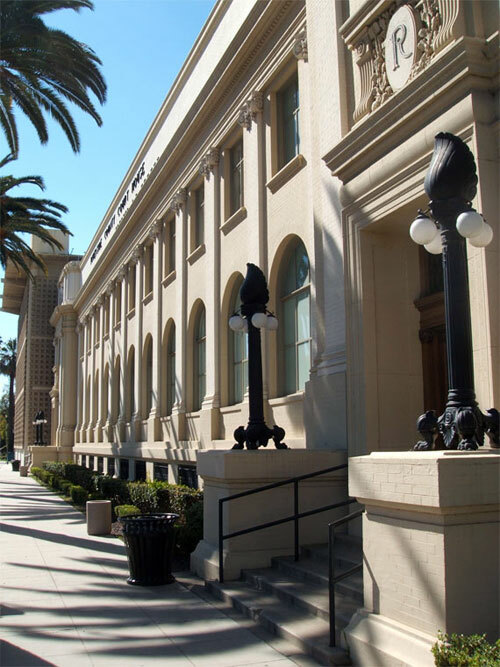 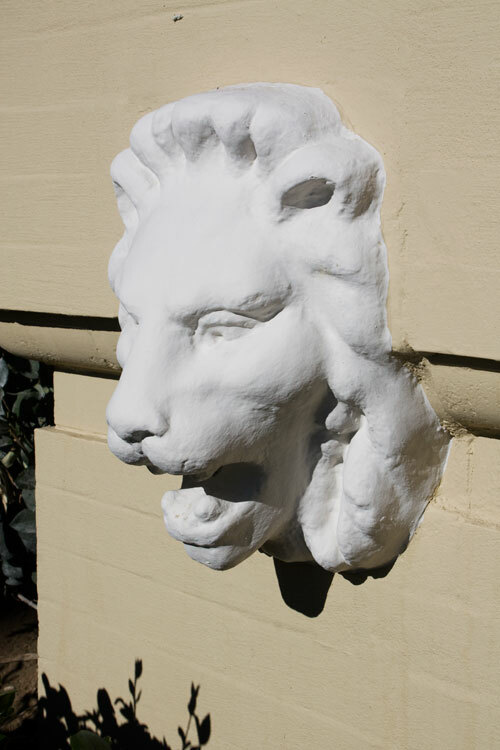 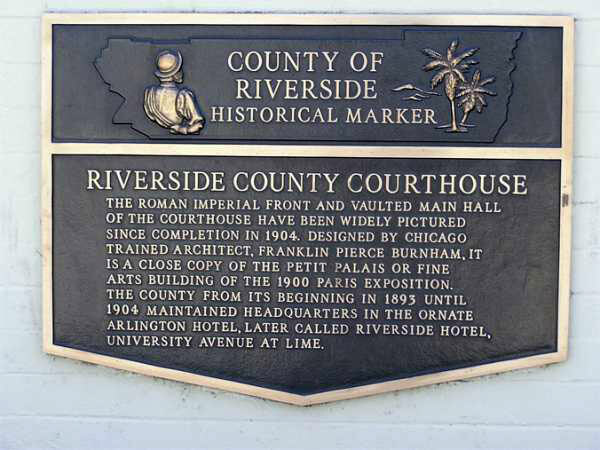 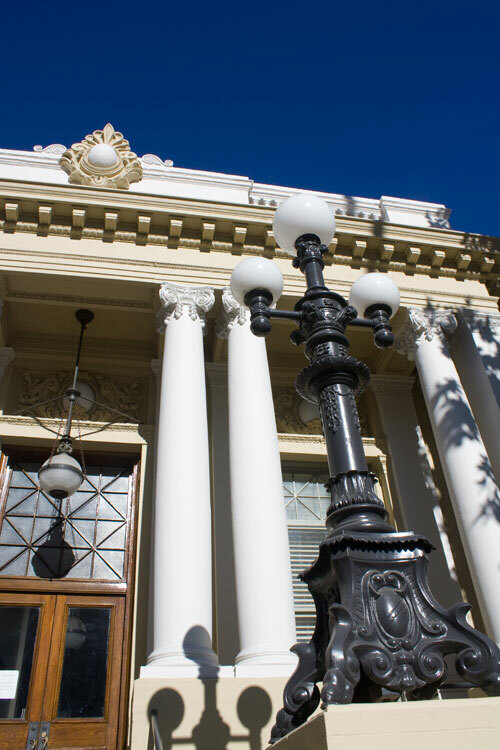 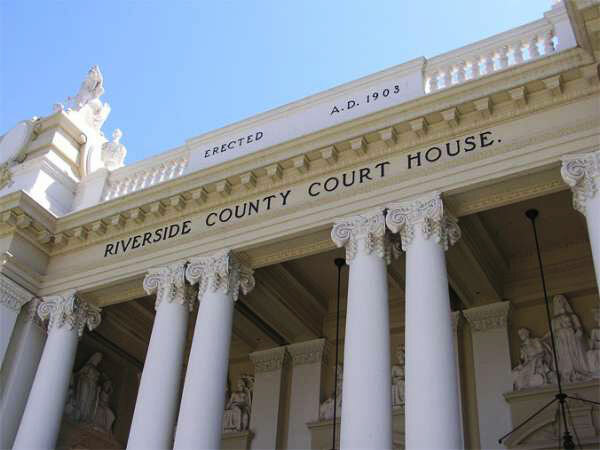 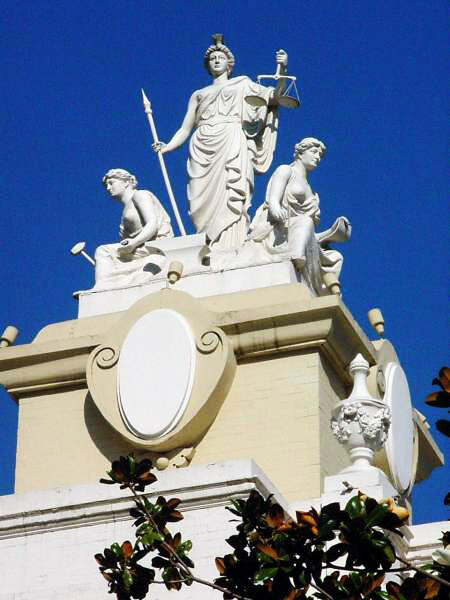 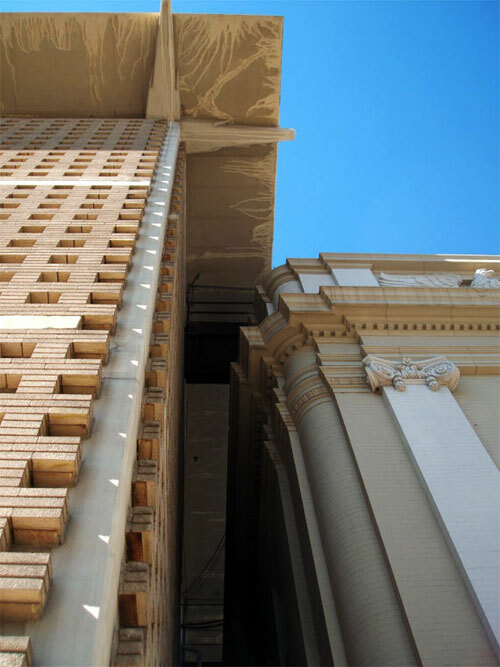 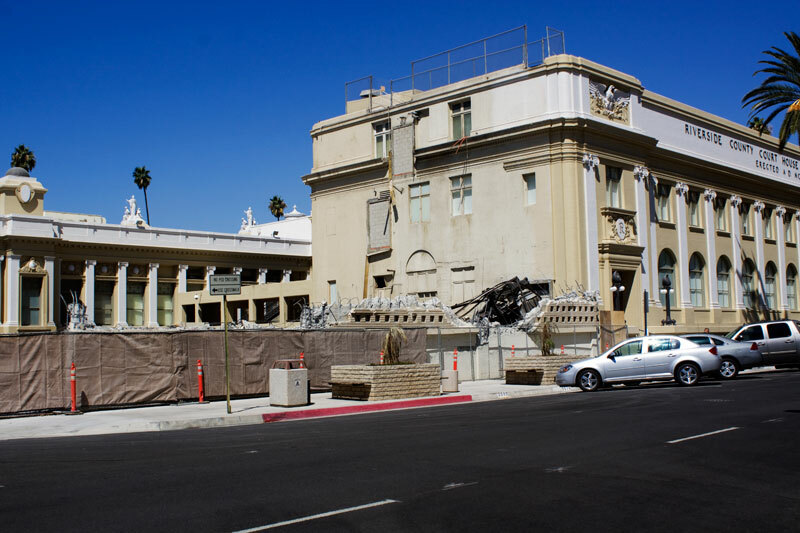 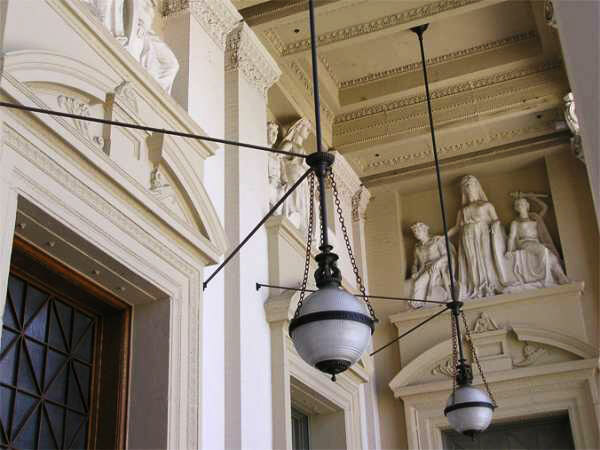 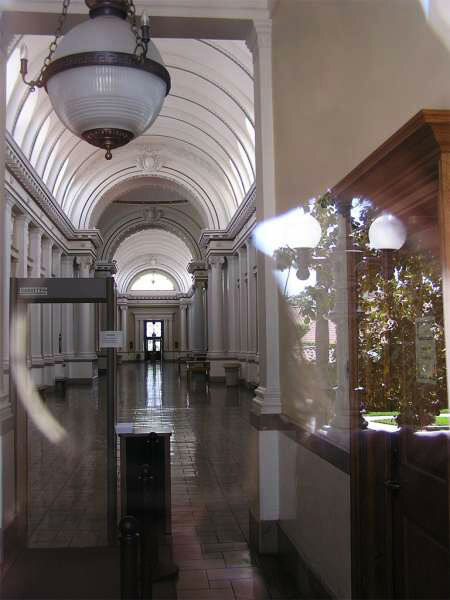 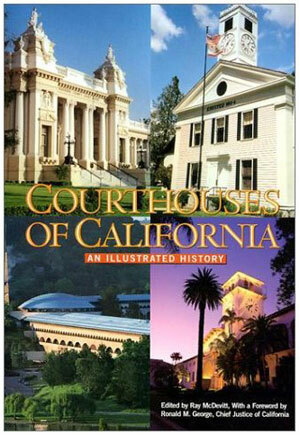 In 1995, the courthouse underwent a 3-year, $25 million renovation and seismic upgrade. 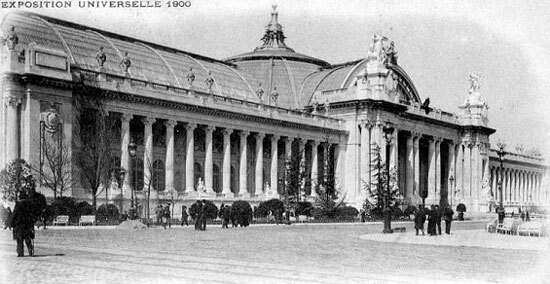 The building’s ornate facade was modeled after both the Grand Palace and Petite Palace at the 1900 Paris Exposition (“World’s Fair”). 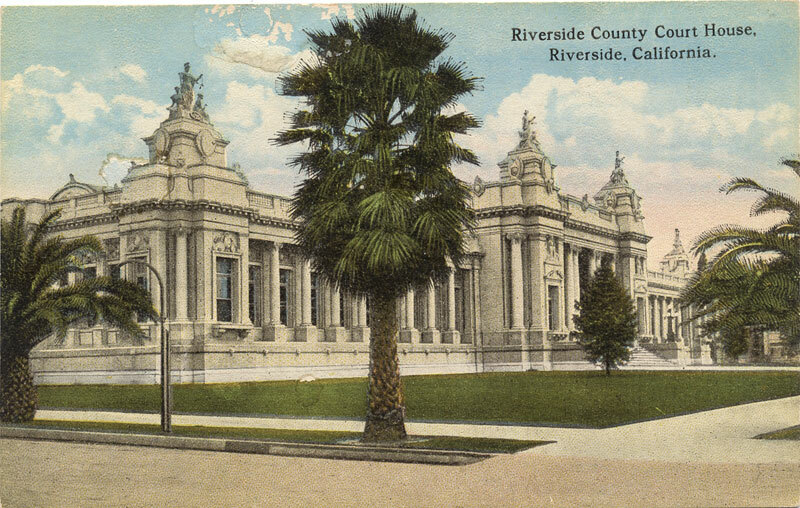 A 1933 expansion at the rear by noted Riverside architect G. Stanley Wilson closely followed the building’s original designs. 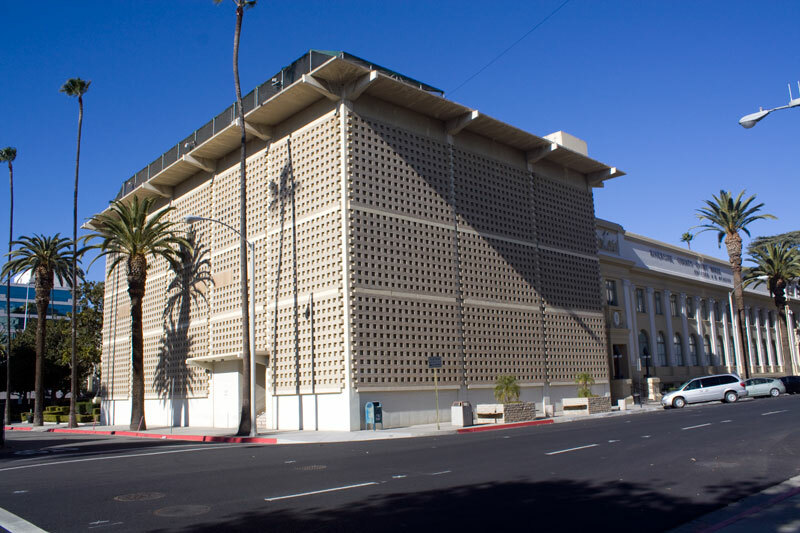 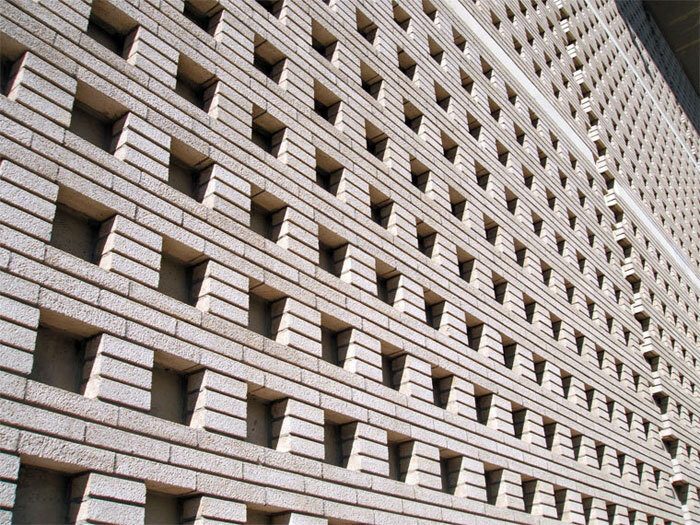 A jail facility addition at Eleventh and Orange by another Riverside architect – Herman O. Ruhnau – was completed around 1960. 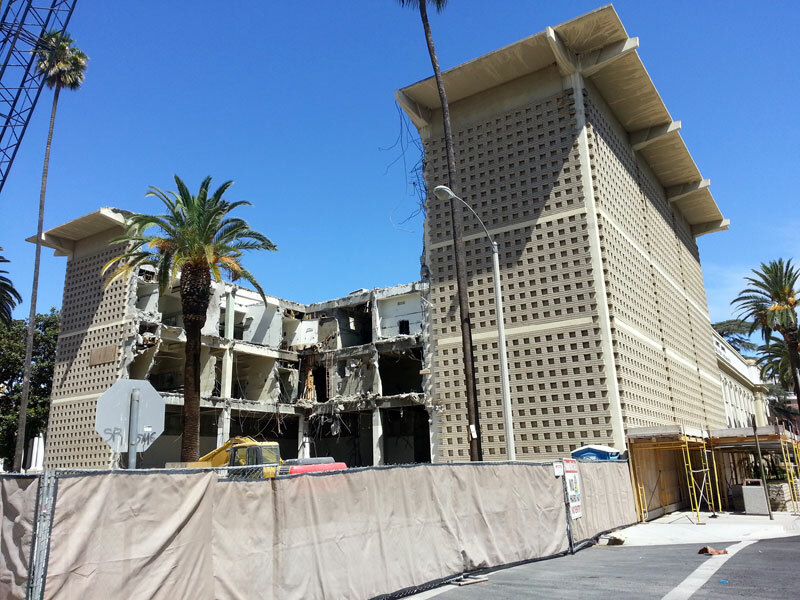 Its blocky, modern look stood in stark contrast to the earlier designs. 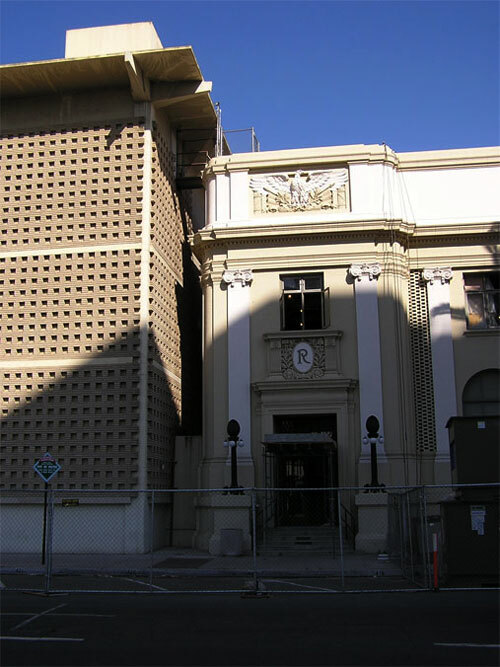 In 2012, this later addition was demolished.